Period Clock Case Craftsman: Smart or Lazy? On the Burnap clock you see a thin rail matched to a thicker stile. That assembly is positioned next to a square quarter column and nestled behind a fitted corner glue block. Back in July while teaching at the Connecticut Valley School of Woodworking, school founder and owner Bob Van Dyke offered me the opportunity to examine a Burnap Tall Case Clock at the Wadsworth Atheneum. Of course I accepted. (Read about it here.) As Bob, Mickey Callahan (past President of The Society of American Period Furniture Makers) and I studied the case, we were all taken by the thin rails used on the clock’s face frame. At the time, no real explanation was at hand. Photo of the original Egerton Clock case. 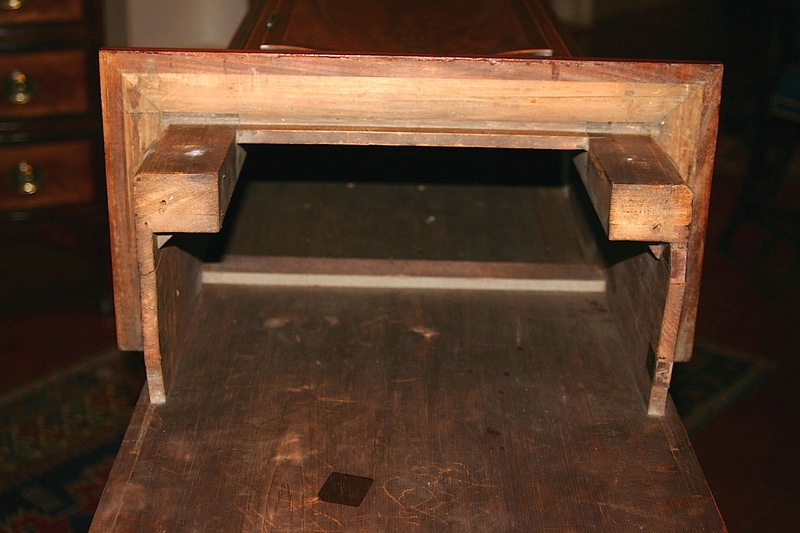 As I began working on my SketchUp drawings for my version of the Edgerton clock case, I went back to take a look at the photos I had of the original case built in New Jersey around the turn of the 18th century.Once again, thin boards were used for the rails of the face frame. With an attempt to hold as much original as I could, I decided to draw the rails in at less than the thickness of the face frame stiles. My idea was to size the rails to match the distance from the rear face of the tenon to the front face of the frame, or to create a barefaced tenon at the back face of each rail. As I worked on the drawings and began to build the case, this face frame detail continued to bounce around my mind. 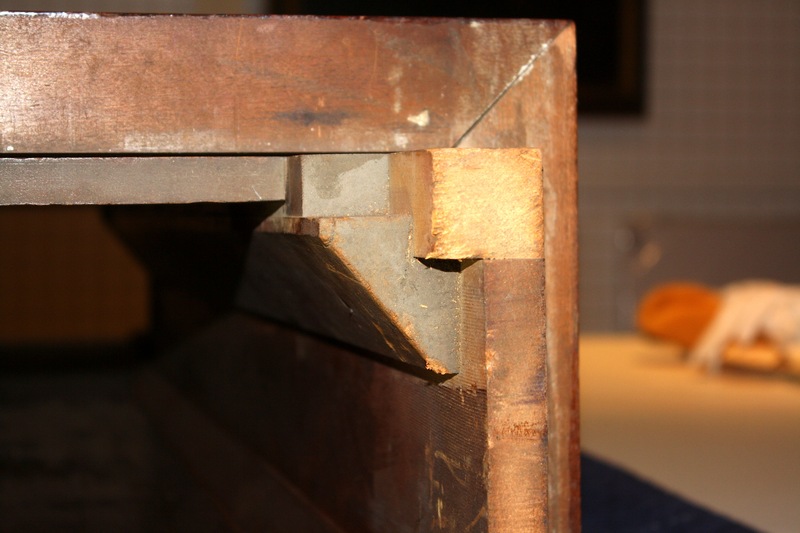 Why would woodworkers in the past use a thin rail? What would that accomplish? Then a thought popped into my head. Maybe an extra 1/4″ or 1/2″ in the case, measuring from front to back, added enough depth for a given clock movement to work properly – there would be no chance that the weights would make contact with the inside front of the case. It wasn’t until I actually milled the face frame pieces that a second idea came to mind. Work on the two stiles was just as you might expect; Cut a centered mortise at the top and bottom ends of each stile. 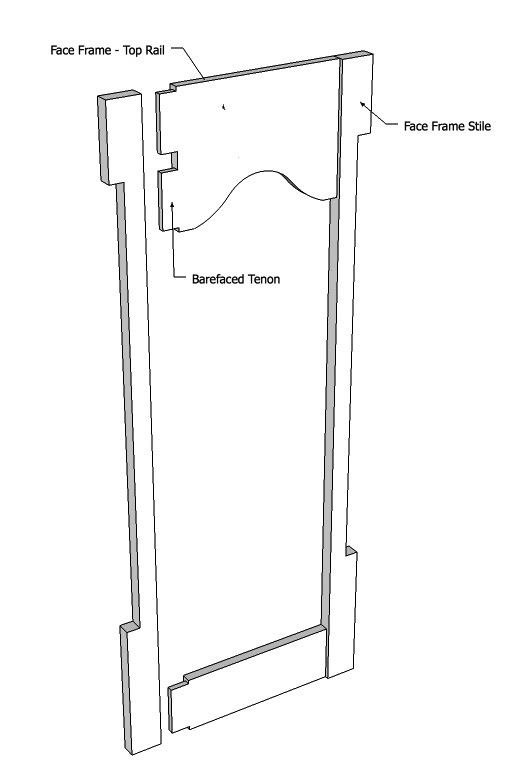 (Due to the width of the top rail, I split the tenon into two smaller tenons to keep my stiles strong.) As I began to cut the two rails, I realized that I did not need to create a shoulder on the back face of the rails as it is a barefaced design. That eliminated one of the two major cuts needed to create the tenons. Also, there is no removal of waste material on the face as well. 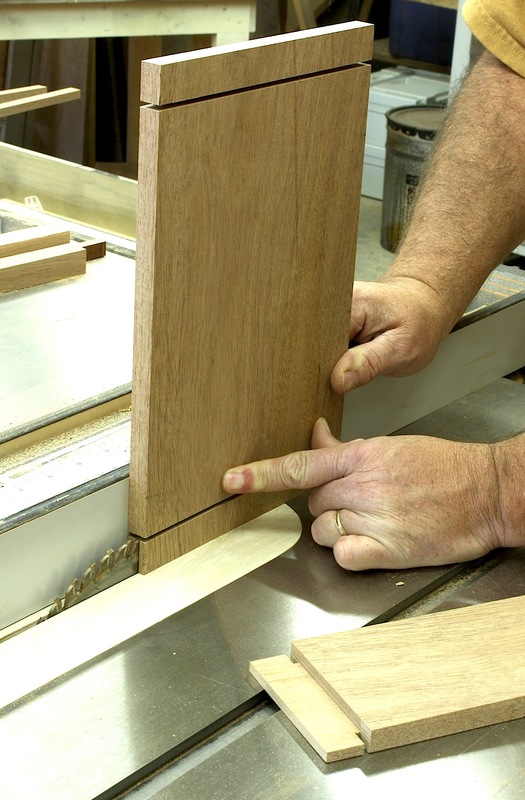 That makes this process much less work, especially when using nothing but hand tools. It’s just a two-step rabbet cut at my table saw. This made me wonder: Were period clock case craftsmen, by making face frame rails thinner than the stiles, smart in saving the cost of material? Did they discover a clever way to add extra depth to the case? Or were they simply being lazy using a technique that greatly reduced the amount of work while building cases? What do you think?